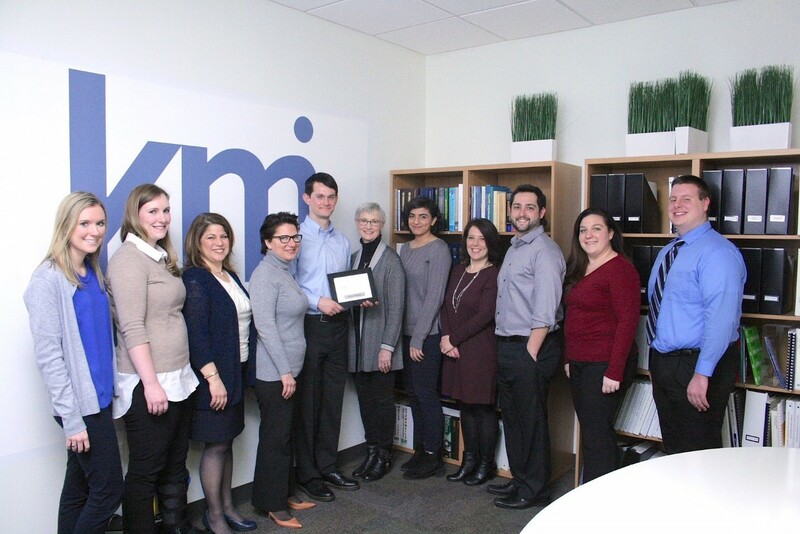 KMJ Consulting – Our Team Members Completed the Dale Carnegie Course! Our Team Members Completed the Dale Carnegie Course! Ardmore, PA (June 5, 2018)– KMJ Consulting, Inc. team members have each completed the Dale Carnegie course. “KMJ’s core values emanate from Dale Carnegie. The course provides leadership and life training focused on creating authentic and meaningful business and personal relationships.” – Karen Jehanian, President. This program has served to galvanize KMJ staff enabling us to work together harmoniously and achieve the goals of our clients. Marty Williams was presented with the Dale Carnegie Breakthrough Award by Ellen Valudes of Dale Carnegie.